A holiday in the sun in a residence with pool very well located. 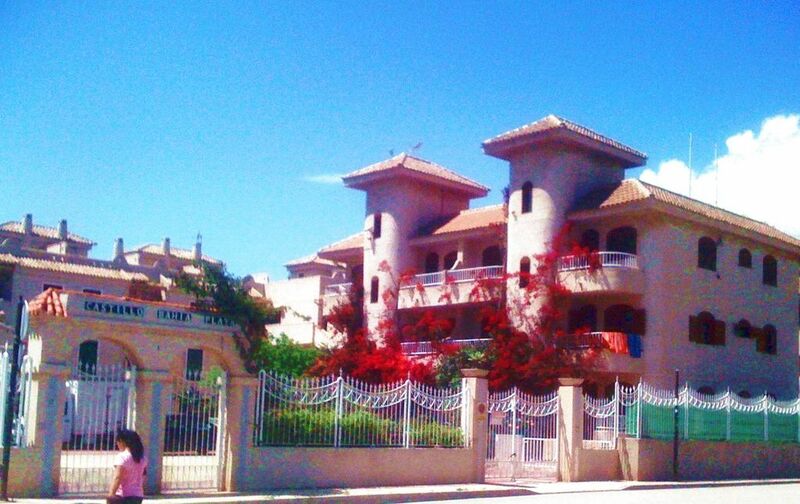 Perfectly located in a small Spanish seaside town authentic residence, Puerto de Mazarron, former fishing village in the heart of the beautiful region of Murcia and the gates of Andalusia. 500 m from sandy beaches, the city center with its many shops, markets and entertainment (bars, restaurants ...), reside in the residence Castillo Bahia Playa. This bright and flowery residence includes 24 spacious apartments (about 70 square meters) of 3 rooms for 5 people and benefits from a private swimming pool. Also available are 3 large barbecues in the common areas. Languages ​​spoken onsite: French and Spanish. Home of Véronique and Jean-Pierre, settled for more than 15 years in the region. If you wish calm or very active holidays, you will like Puerto de Mazarron. It's a small paradise for families but also for young people as the city offers all facilities: beaches, restaurants, bars, nautical sports, horse riding, hiking... Our human size residence has got many flowers and is multi-cultural. Puerto de Mazarron is an authentic small Spanish town in the heart of the beautiful region of Murcia and the gates of Andalusia. If you want to both enjoy the pleasures of the sea, but also from doing some sightseeing, here are some ideas of walks: Granada and the Alhambra (about 2h30 from Puerto de Mazarron), Murcia and its cathedral (45 mn) Alicante (1h30), Cathagène (40 min).